First, you take a hike up – then, you speed down into the deep valley. Tobogganing is pure family fun. No pressure to perform, no winners, but plenty of unbridled joy and fast adventures. 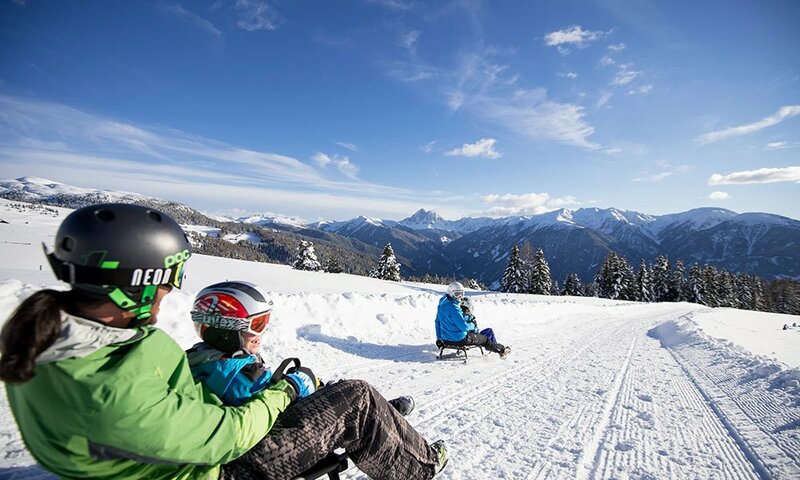 During your family holiday in winter, you should always find the time for an exciting toboggan tour. If speed is not really your thing, simply try ice-skating. You probably have not been ice-skating since your childhood. 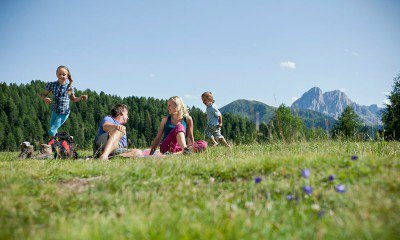 Now – during your vacation in South Tyrol – is the best time for ice-skating with your children. In Gitschberg Val Giovo, tobogganing has a long tradition. There is hardly a village without its own natural toboggan run. In the winter sport areas, you can rent toboggans, and then return them in the valley. You may reach the top by ski lift or on foot, if you wish to combine your tobogganing fun with a winter walk. A very popular experience: tobogganing under the full moon or night tobogganing on one of the many illuminated toboggan runs, such as the lodge Moserhütte close to Maranza. 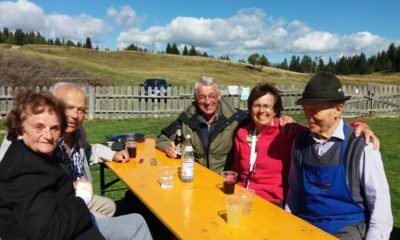 In Gitschberg Val Giovo, there are nine toboggan runs – two of them in the area of Rodengo: A 3.5-km long runway takes you from Luson to the Alp Kreuzwiesenalm, another one 3.3 km from the farm Tulperhof in Luson to Tulper Gampis. Ice-skating is a very sociable activity and more cheerful than any other winter sport. In Rodengo, but also in many neighbouring villages up and down the entire Isarco Valley, you will find a great selection of ice rinks. Again, in most place you may rent ice skates. Thus, during your family vacation in the winter, you may spontaneously get on the ice and glide away.